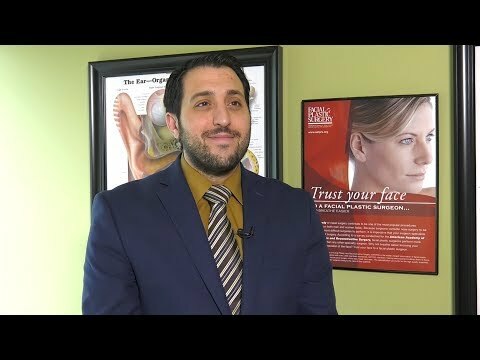 Dr. Deeb is committed to providing the highest quality patient care in cosmetic and reconstructive surgery of the face, head and neck including a special interest in cosmetic and revision rhinoplasty, middle-eastern rhinoplasty, African American rhinoplasty, rejuvenation of the face, eyelid surgery, reconstructive surgery, and skin cancer surgery. His extensive fellowship training in facial plastic and reconstructive surgery allows him to treat the most complex conditions. He is the current site director of Otolaryngology: Henry Ford Medical Center Pierson Campus. In addition to his surgical practice, he has presented his research at national conferences, including at the Annual Academy of Facial Plastic and Reconstructive Surgery conference, Topic: Middle Eastern Rhinoplasty and has also authored several books and published a number of articles in different peer-reviewed journals. Dr. Deeb is a member of the American Academy of Facial Plastic and Reconstructive Surgery, American Academy of Otolaryngology - Head and Neck Surgery of Michigan, Otolaryngological Society, American Medical Association and the Michigan State Medical Society. Dr. Deeb prides himself in helping others by teaching medical residents as well as being an active member of humanitarian mission trips, including traveling to Turkey to provide facial reconstructive surgery for Syrian refugees at Al-Amal Hospital. Read about this mission trip.